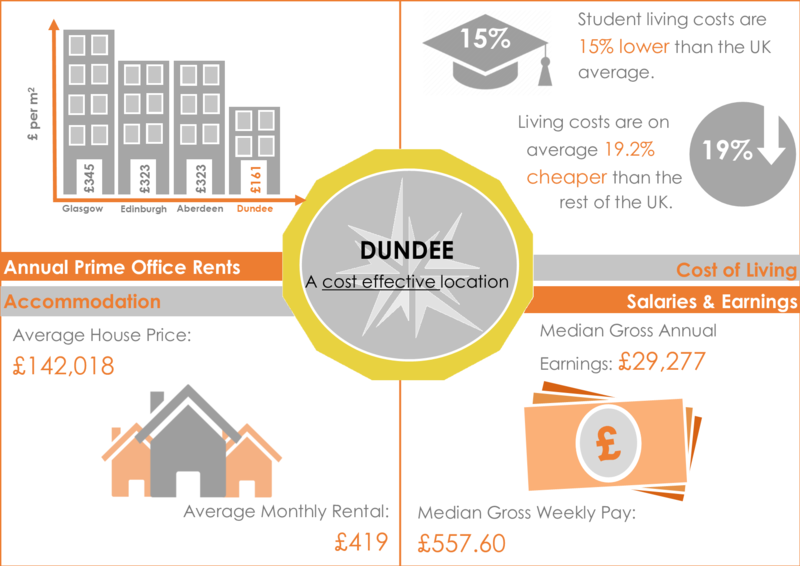 Dundee is a cost-effective location and boasts high-quality, affordable housing to buy or rent. The city has a growing stock of office and other commercial space that can be let at a substantially lower rate than Scotland's other key cities. Dundee is a magnet for talent and students can make their money go further here, with a cost of living 15% lower than the UK average. Similarly, the general living costs in the city are calculated as 19.2% cheaper than the rest of the UK. All of these factors combine to establish Dundee as an affordable place to live, work and invest.